Two more teenage boys have been arrested for allegedly setting a man on fire and trying to rob him Sunday in Northern Virginia. 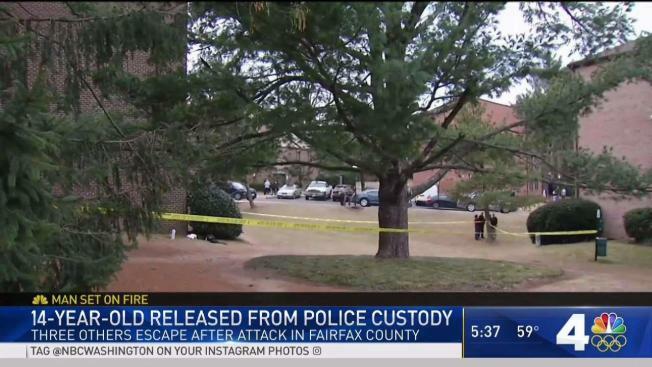 The two 15-year-olds, whose names police did not release, were part of a group of boys that attacked the man, Fairfax County police said Tuesday. One of the boys was arrested Monday night; the other was arrested Tuesday morning. A 14-year-old boy were arrested Sunday. All three are charged with malicious wounding and attempted robbery and taken to the Fairfax County Juvenile Detention Center. Police were called to the 4500 block of Commons Drive about 2:45 p.m. Sunday. A witness told police that several people had assaulted a man and tried to set him on fire. A group of people set a man on fire and assaulted him in Annandale, Virginia, police say. Darcy Spencer reports. When officers arrived, they chased the boys and were able to detain two of them. 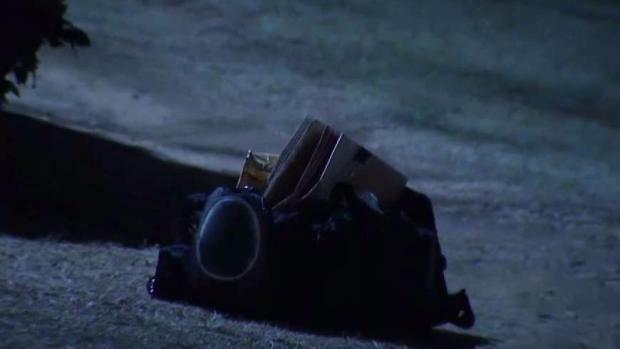 They found a man with injuries to his upper body and burns on his clothing and backpack. Medics took him to a hospital for non-life-threatening injuries. According to the preliminary investigation, the boys had planned to rob the man. He awoke to the boys setting his backpack on fire, police said. The two boys who police detained were released to their parents, per standard procedure. Neighbor Paul Choi said he was on edge. He and his wife are even thinking of moving. "No more safety in this area," he said. Police say they have now arrested all suspects in the crime. Detectives do not believe the incident was gang-related, police said.